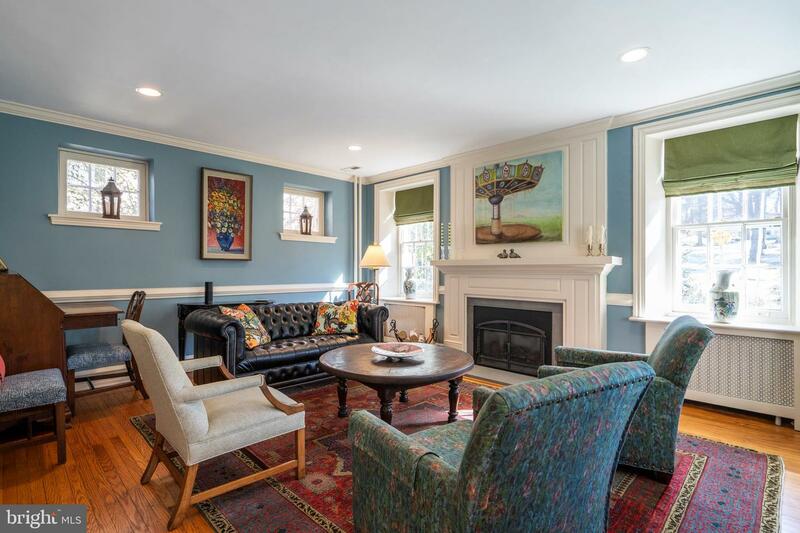 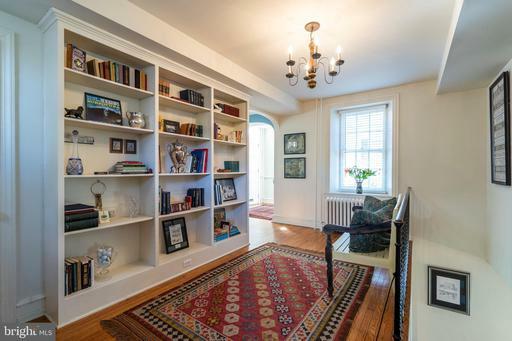 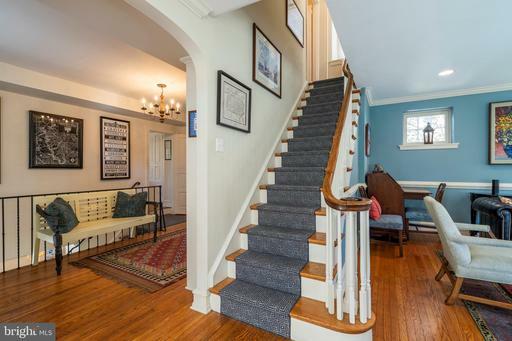 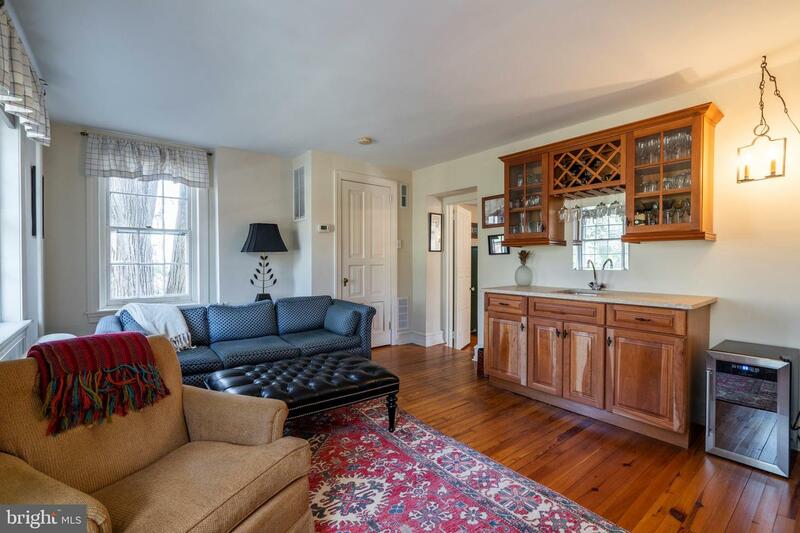 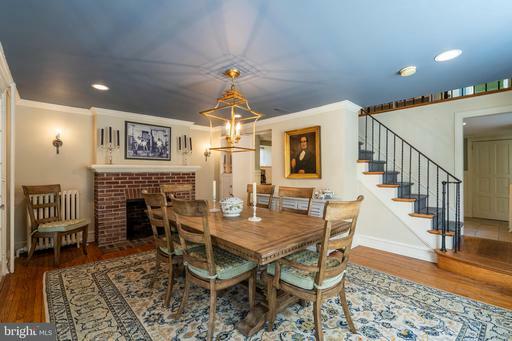 Charming and enchanting, this beautifully renovated and updated 19th Century Chestnut Hill farmhouse will captivate you from the moment you walk in. 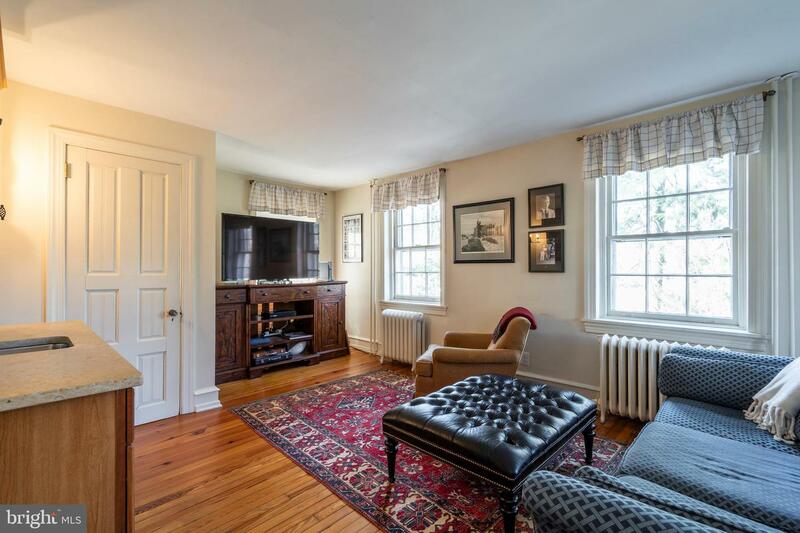 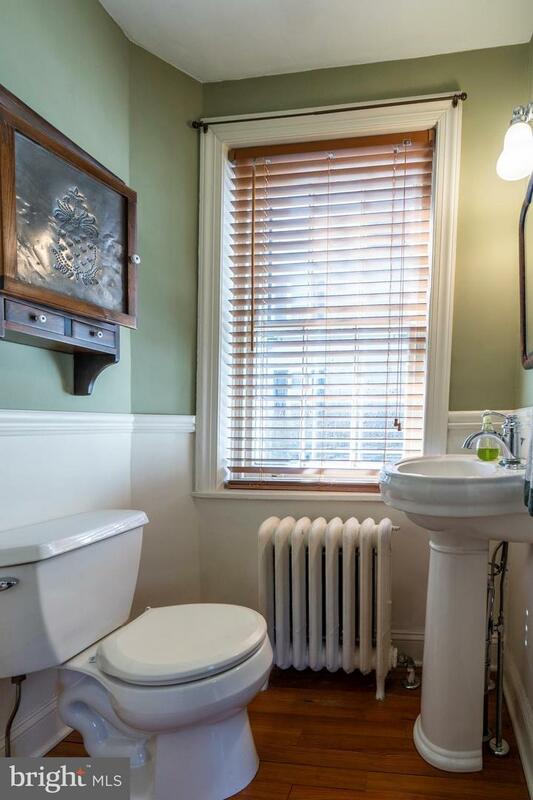 Deep window sills and window seats, gorgeous hardwood and pine floors throughout, generous room sizes, high ceilings and custom moldings are just some of the timeless features of this meticulously maintained home. 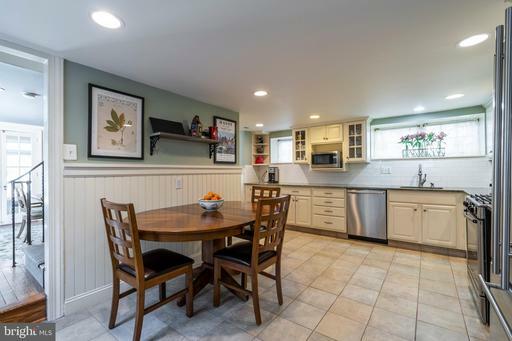 Thoughtfully and carefully renovated in recent years, this is a fabulous home for both formal and informal entertaining yet with everyday living in mind. The main floor features a large living room highlighted by a gas fireplace, cozy library with built-ins and a family room with wet bar. 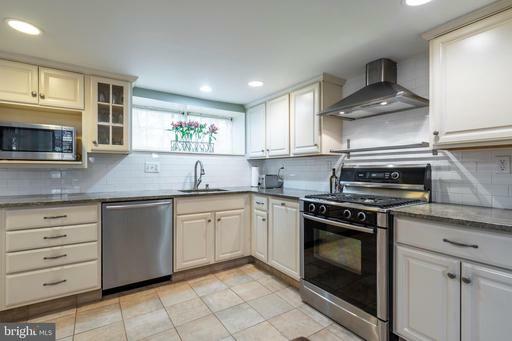 The eat-in kitchen offers granite counters, subway tile backsplash, ceramic tile flooring, and Bosch and JennAir stainless appliances. 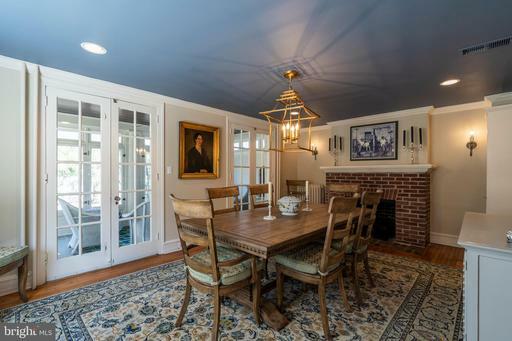 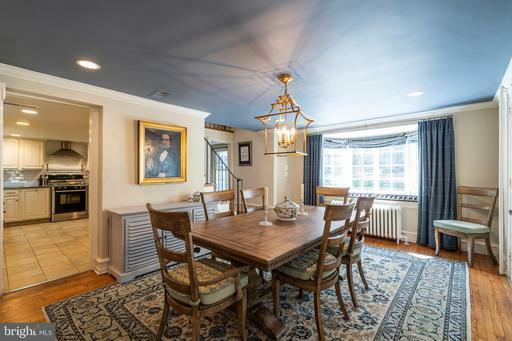 The handsome dining room includes a gas fireplace, built-ins and two sets of doors that open to a delightful sun porch overlooking a serene rear yard enhanced by a flagstone patio, specimen plantings and a small pond. 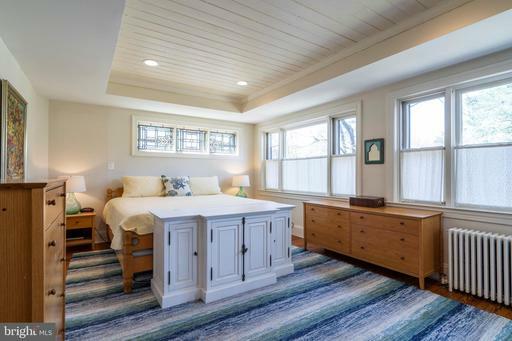 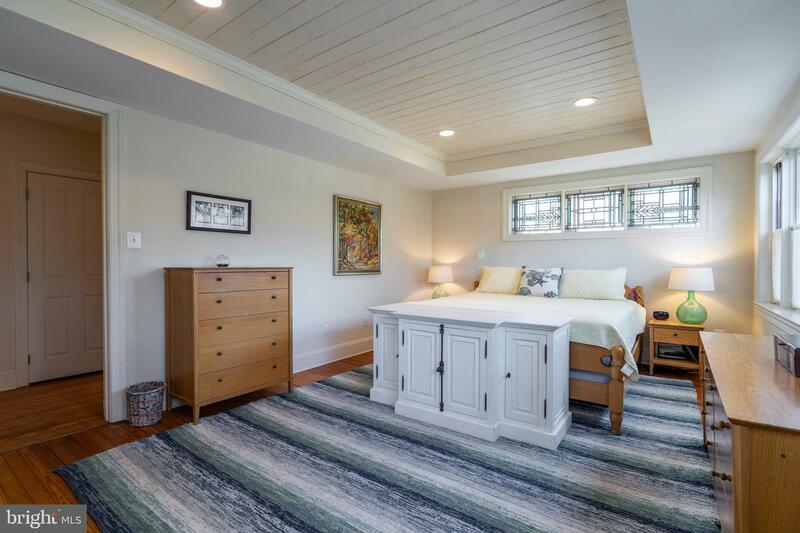 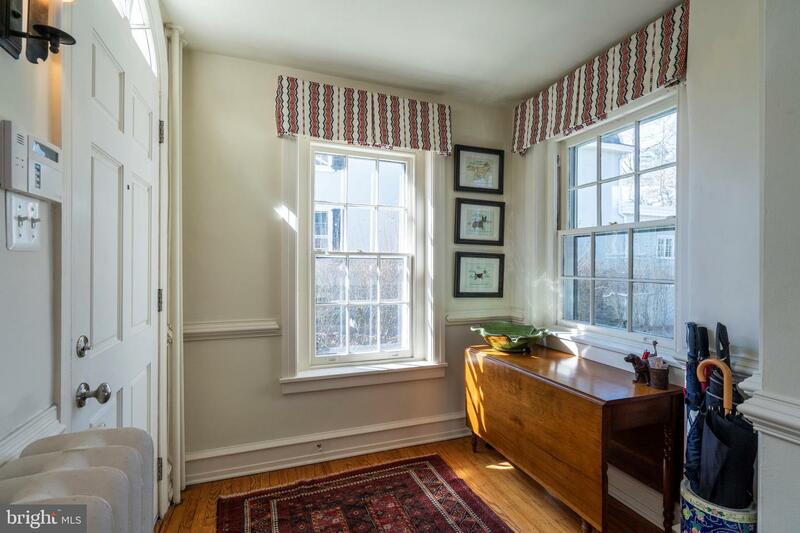 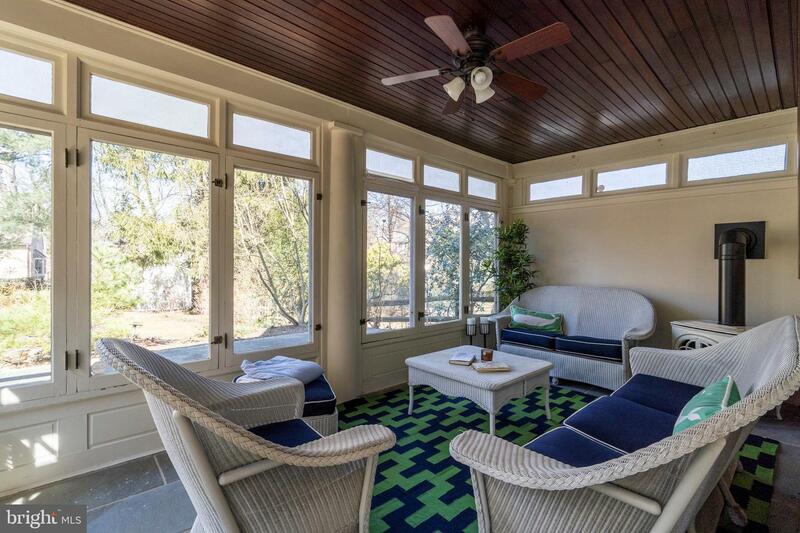 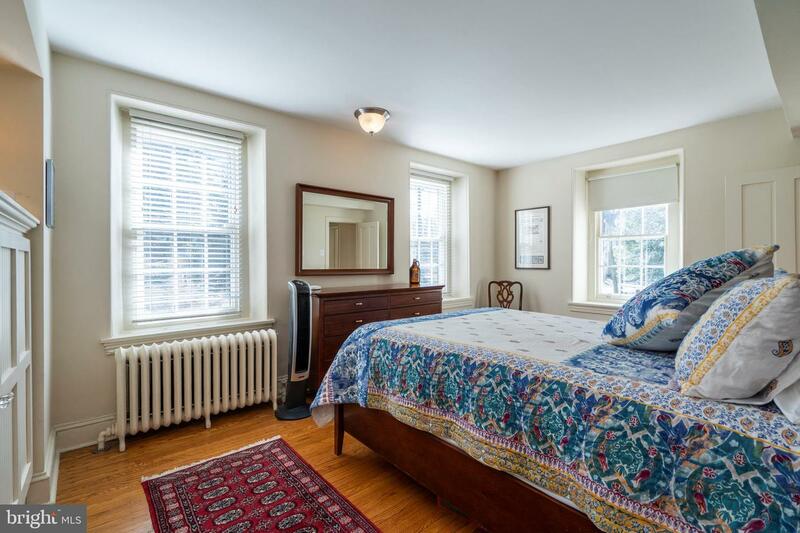 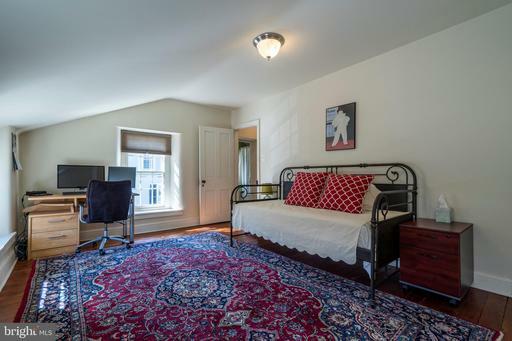 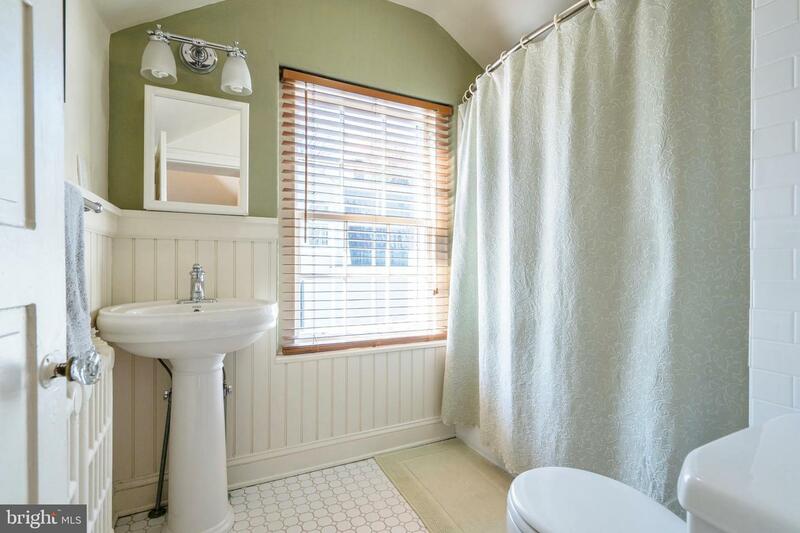 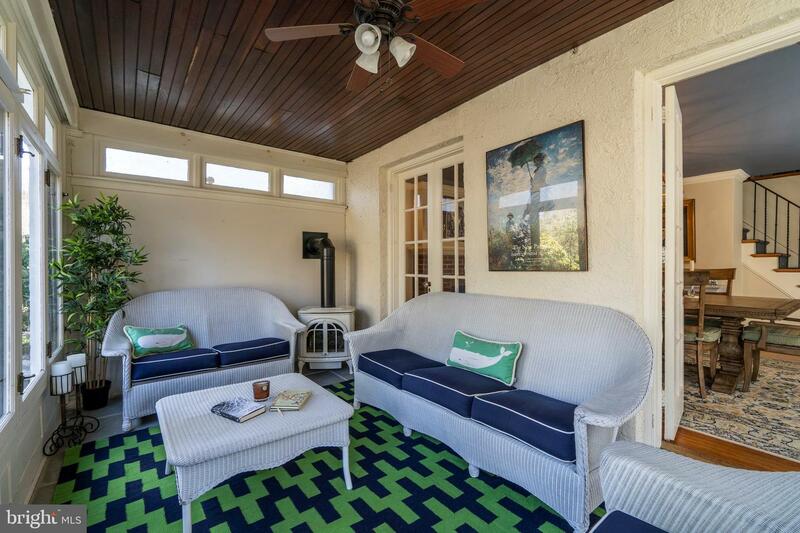 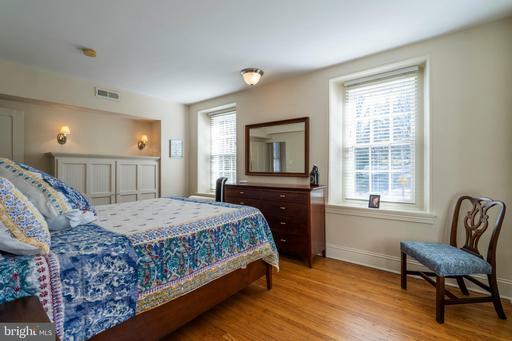 Bright and airy with windows that bring the outside in, the inviting master suite overlooks the majestic rear yard and offers a tray ceiling with recessed lighting, an updated limestone bath and both a walk-in and a double closet. 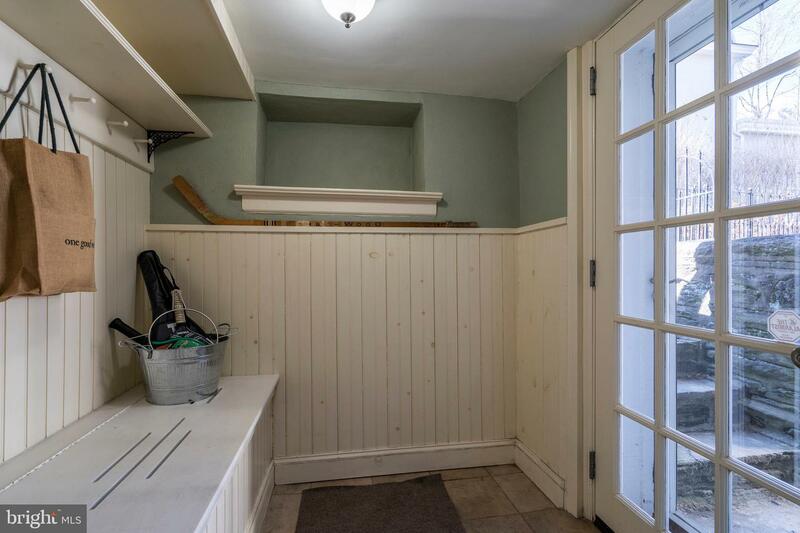 Three additional bedrooms, one with ensuite bath, and another full bath round out the upper levels of this home. 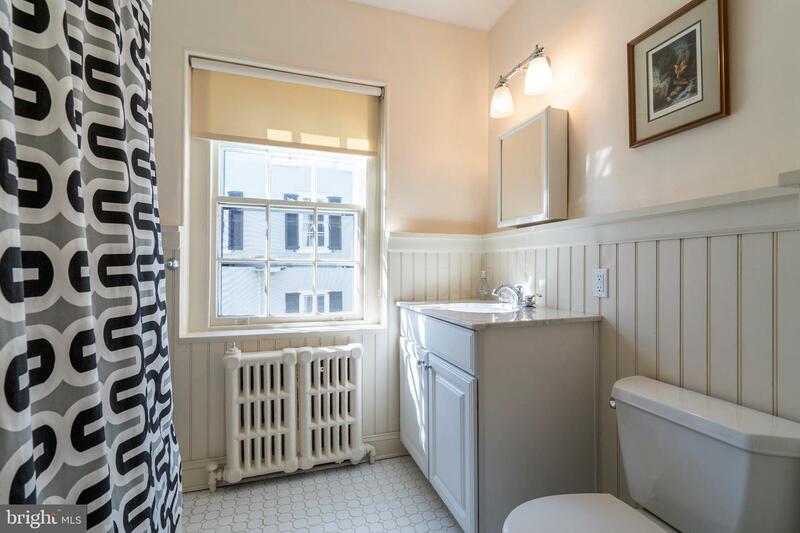 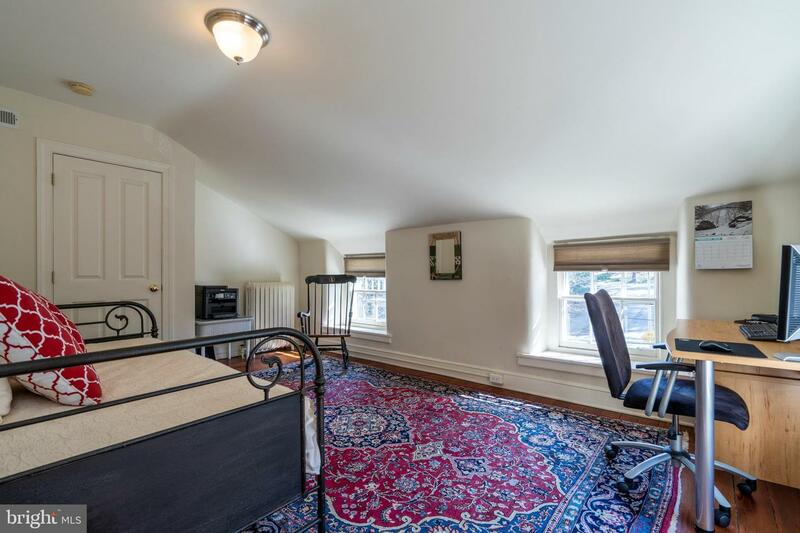 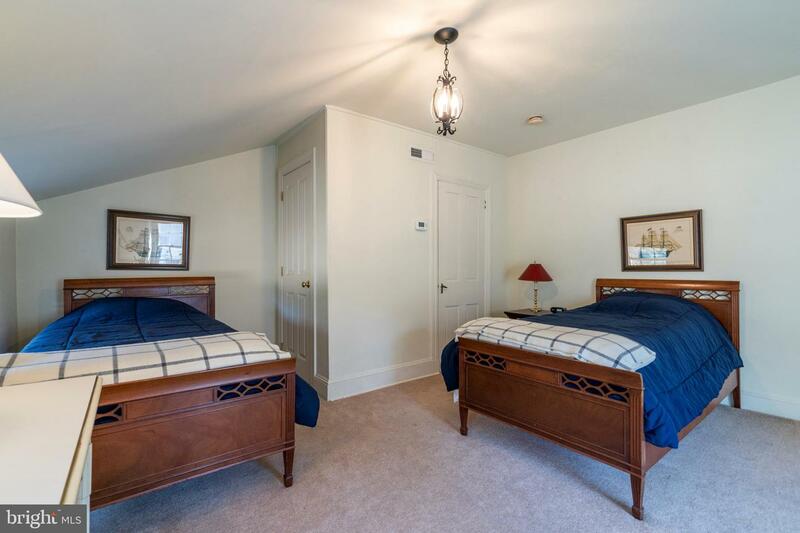 Additional assets include central air, neutral decor, updated baths, recessed and custom lighting, Buderus heater new in 2010, custom window treatments, mudroom, security system, waterproofed basement, generous storage and closet space and a rear shed. 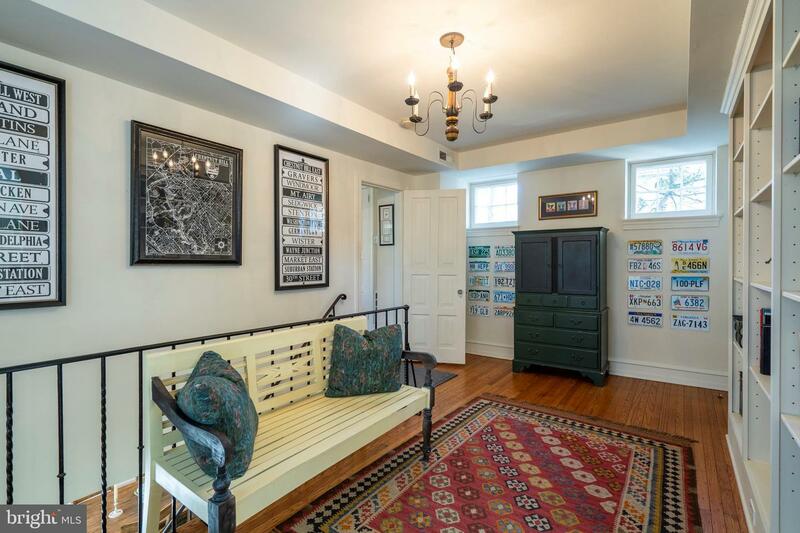 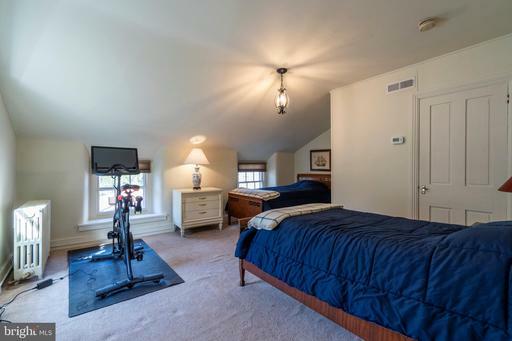 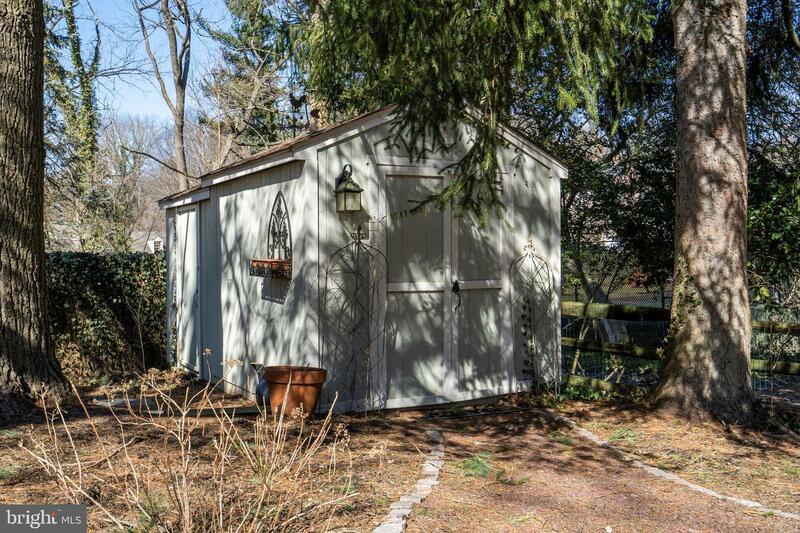 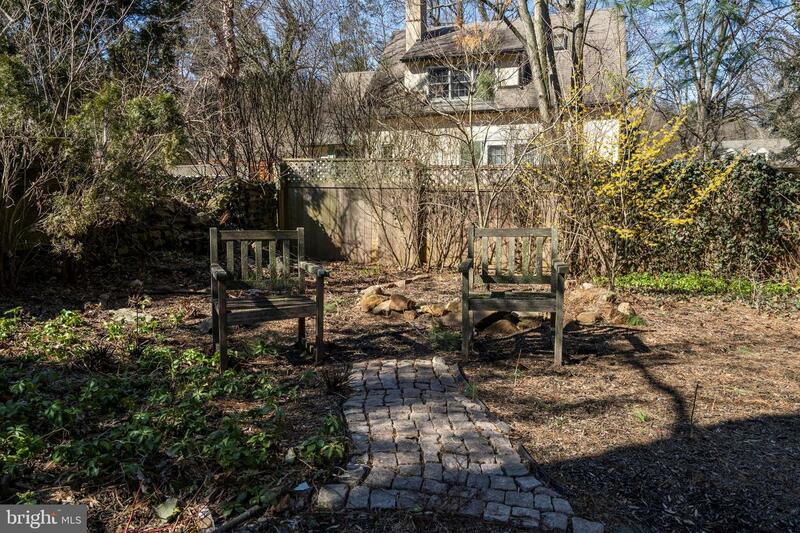 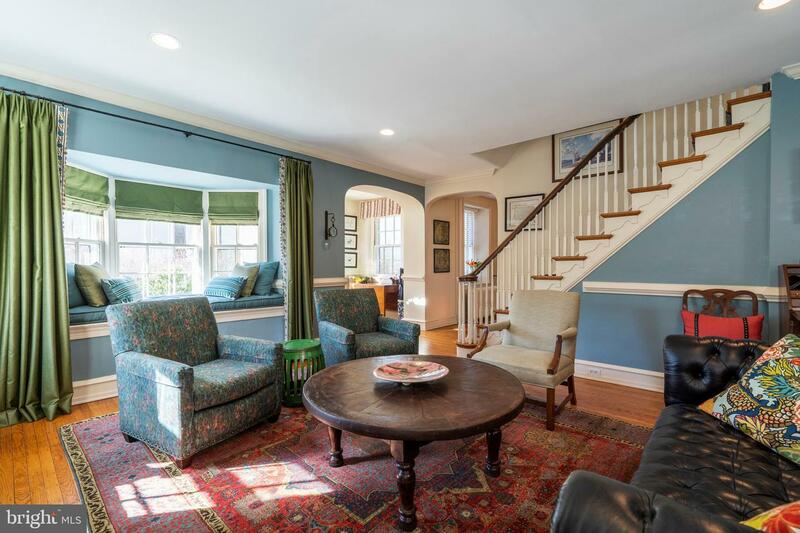 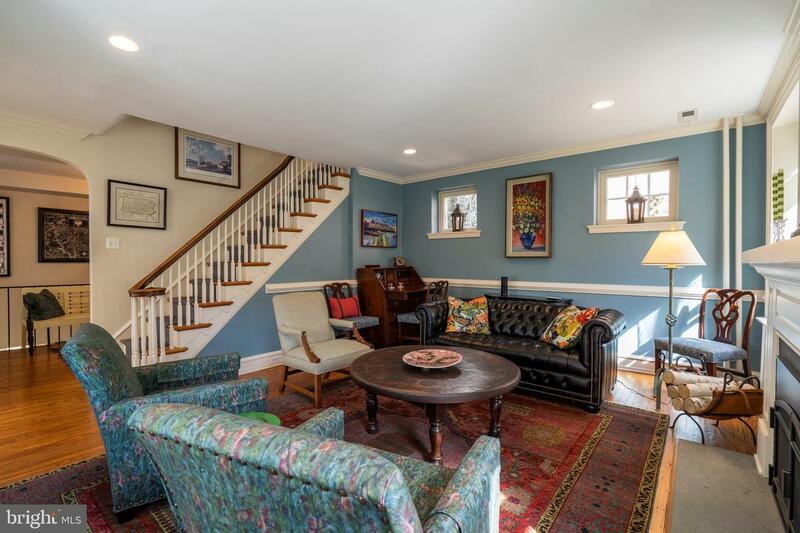 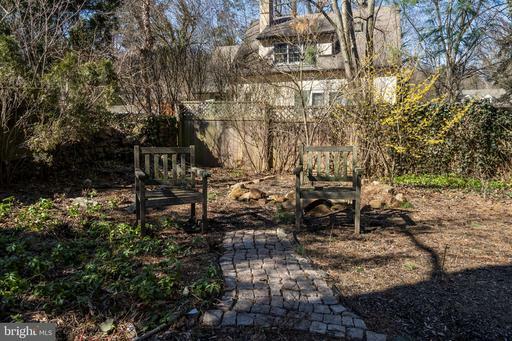 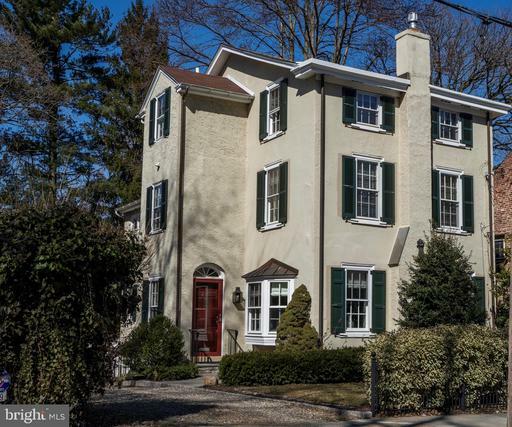 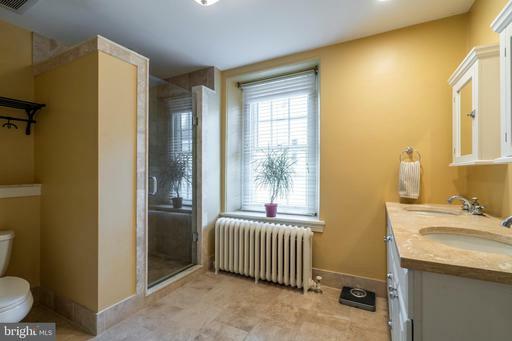 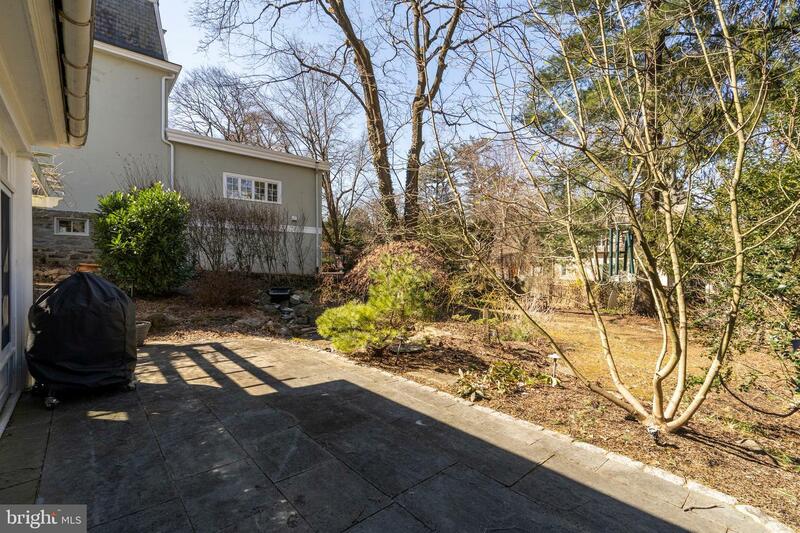 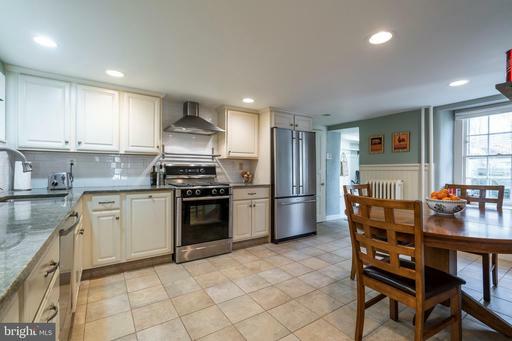 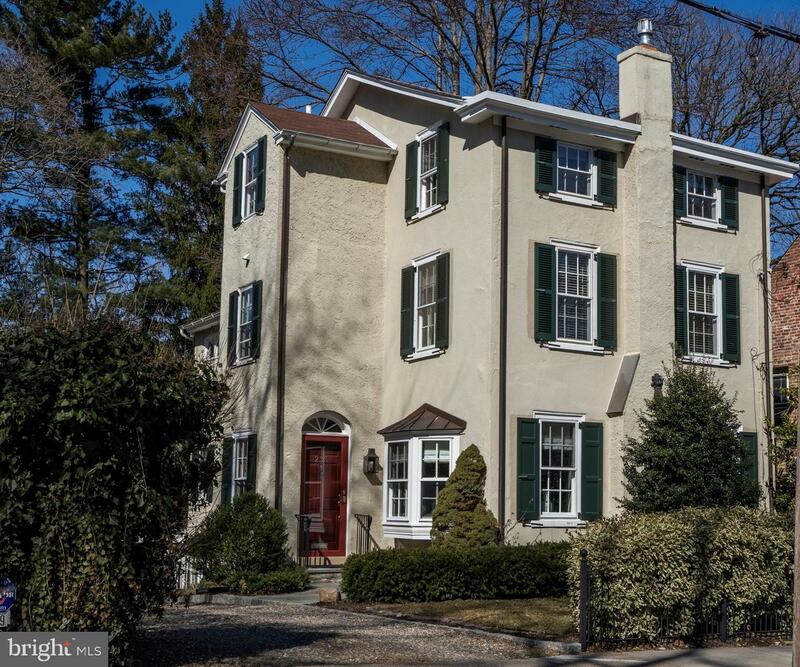 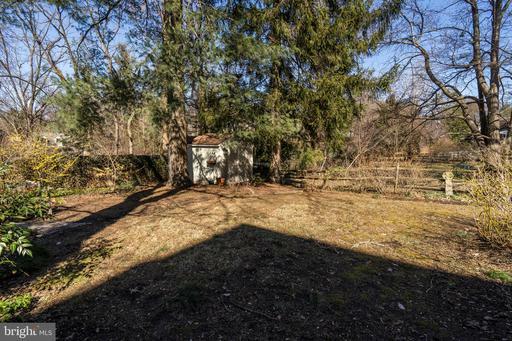 Located on a very desirable Chestnut Hill street within easy walking distance of the Wissahickon trails, Shoppes of Chestnut Hill, dining and public transportation, this special home awaits the most discriminating buyer.